[toc] Among the various attractions that one wants in their body, clean and fair underarms are one of them. However, there are many among the population who faces the crisis of dark underarms. This might not be a serious issue for men but then it is definitely one of the problems for women. The natural bleaching properties of lemon will help you in reaching the goals of lightening the underarms in an effortless way. 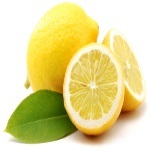 All you need to do is take a slice of lemon and rub it on the underarms for about 5 minutes. This should be left for a while and then rinsed off. Follow this idea before a shower each day to get results in a couple of weeks. Water hydrates the body as well as the skin. It is known to lighten the skin and treat all kinds of discoloration as well as darkening. Herein, you need to adhere to 10 glasses of plain and filtered water each day for perfect outcomes. Try and have herbal teas and fresh fruit juices along side. This natural cure will give you a lot of additional benefits as well. Natural cures and home remedies might leave gradual effects on the underarms but then it is definitely one that will treat the problem from the roots. 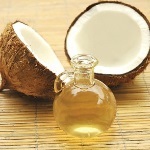 To ensure that the dark underarms are treated, you can easily apply coconut oil on them each day. With passing time and in a couple of months, you can actually see a lot of difference. This is easy to follow as well as affordable on the pocket. Another of the simple natural cures that you can keep handy is the oil extracted from the capsules of Vitamin E available in the market. This extracted oil can be gently rubbed onbDo this step once daily and see how well it gives you lightened underarms that you will fall in love with. It will also make them soft and smooth and treat all kinds of roughness. 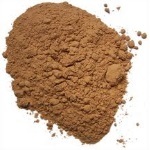 Make a paste from pure and good quality sandalwood powder with rose water. This thick paste should be applied on the underarms and left until it gets dried. Follow this natural cure on a strict regimen to get visible results. It will not only whiten the underarms but also treat the body odor. Slice a potato and rub it on the dark underarms for about 10 minutes. Leave this for the next 10 more minutes before washing off. The bleaching properties in the natural product are something that will undeniably give you the outcomes.